"We've seen a lot of hesitation in the market of late, particularly amongst those in the likes of the South East who are worried about maximising their investment return"
Other highlights of the report included modest annual growth of 2.3% compared to 7.6% in March 2016, highlighting slower pace of increase. Mighty Midlands leads the rest of the country with East and West Midlands prices at record highs. Brian Murphy, Head of Lending for Mortgage Advice Bureau, said: “The data released by Rightmove today reports trends on asking prices, rather than completed transactions, therefore gives us a current ‘temperature check’ of the UK housing market and sentiment. 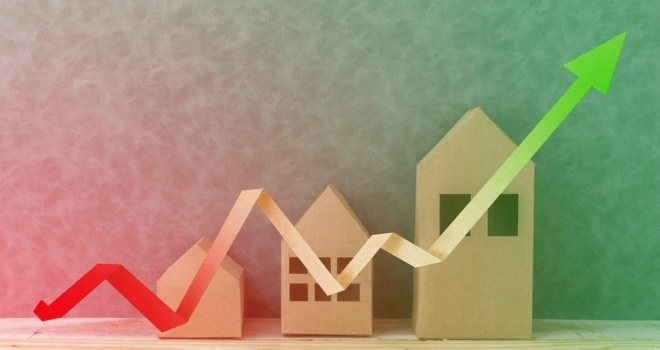 The data suggests an average month on month increase of 1.3% on properties coming to the market, suggesting that consumer confidence and demand in bricks and mortar, coupled with a paucity of stock in many towns and cities, is leading to asking prices remaining steady if not increasing in some areas, most notably the East and West Midlands. Given encouraging activity levels last month, this isn’t a huge surprise and is in line with normal seasonal trends – in fact, the average March price rise over the last few years according to Rightmove data has been 0.9%, so in this respect, so far this year asking prices would appear to be performing above expectations. That said, the annual increase reported by Rightmove of 2.3% is more modest than previous years, but this in itself will possibly be reassuring for many. This is because we need to be mindful of affordability and any ongoing, significant increases in house prices could create a turbulent market that many would seek to avoid, as it would price many purchasers out of the market. Overall, it’s too early to tell if we will see a blooming Spring market over the next couple of months, but if the figures continue as they have so far in March, it’s possible that we may see a balmy picture rather than a stormy outlook as we move towards what is normally one of the busier times of the year." Russell Quirk, eMoov CEO, had this to say: "Depite Rightmove's best intentions to deliver transparent market analysis, the nature of their data being based on asking price and not sold price means it should only be viewed as a tentative toe dip into the state of the UK market at present. Today's numbers may help to compound the current issue of a shortage of housing but this isn't an anomaly that has only just surfaced. It has been rife for quite sometime now and so this latest data would suggest the addition of a seasonal pickup as we head into the busiest time of the year. This heightened market activity, coupled with the ongoing stock shortage, is leading to a strong hike in prices. We've seen a lot of hesitation in the market of late, particularly amongst those in the likes of the South East who are worried about maximising their investment return. The reality is that in areas like the Midlands where prices aren't as inflated, a more no nonense approach is benefitting homeowners as they proceed with their sale and see stronger, more natural price growth across the board as a result." Hannah Maundrell, Editor in Chief of money.co.uk said: “House prices in the capital are cooling off slightly and London is no longer leading the way where property price growth is concerned. This is no surprise; few people can afford the crazy London house prices. The Midlands is a much more affordable place to buy and with buzzing cities and booming industry it’s becoming an increasingly attractive place to live.